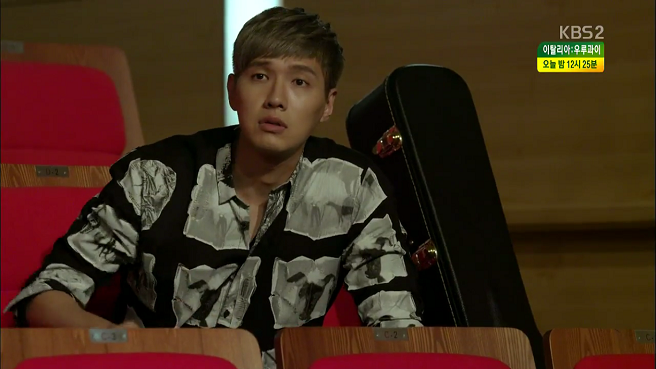 Hurrah, Ji Hyun Woo is back to dramas! From the two episodes of Trot Lovers that aired, it's nice to see that he's still as charismatic as ever, though this time with an immature character who's a far cry from the perfectly charming Kim Boong Do. I like that he's stretching his range, but I also predict there's going to be far less fanfare over Trot Lovers and over his hero here than there was with Queen In Hyun. TL is an odd, almost too-boisterous drama, and I'm not sure I'd have bothered with it had anyone other than him had been cast as the lead. However, the premise is charming once we get past all the set-up in episode 1, and at the very least I expect to be entertained all the way through. The weakness so far is the story, which is your typical stack-of-coincidences underdog story, featuring a heroine who happens to be the daughter of the first love of some star agency, and who thus gets roped into participating in a televised singing competition. Her hard-working but family-debt-ridden self is matched by a similarly generic-background male lead, who's the suddenly-poor-ex-star who's randomly forced to help her along. You can quite literally check-off every K-drama stereotype within the first episode. However, there is something unique to this show, and underdog dramas when done right can be great to watch (a bit like Miss Korea during the build-up to the pageant). 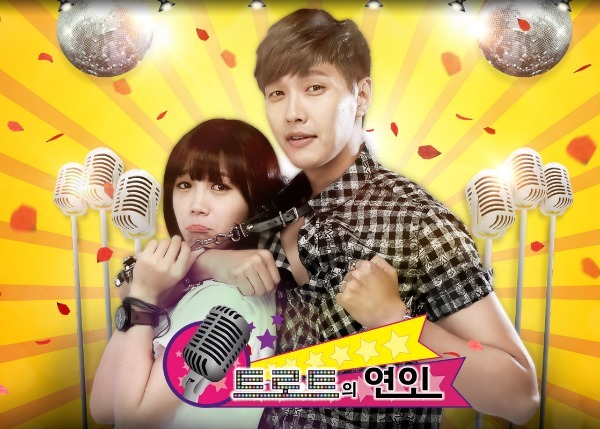 Jung Eun Ji isn't my favorite of actresses, as I find her overbearing in her dialogue delivery. However, she has a solid voice (unlike similar singer-actresses like Suzy) and I can at least stomach her acting. She also has good form when running, which makes the random marathon-runner background for her character seem a bit more believable (not that I understand why they had to shovel that in). Ji Hyun Woo is honestly a joy to watch, and I'm not merely saying this as a fan. He understands the screen, and just gets how to deliver a character. His expressions make the show, and I personally find him just as appealing post-braces as before (it also helps with making his "star" character more believable). Chemistry-wise though, I'm not feeling it. Luckily Ji Hyun Woo is able to draw out chemistry from even the most passive of female leads, but Eun Ji just feels so much younger than him, like a niece rather than a female interest (he's nine years older in real life). She's also on the short side of actresses, which wouldn't be such a big deal if it wasn't compounded with her youthful aura. He literally towers over her, and it makes me feel a little squeamish to imagine a romantic connection. The one balancer is that her character is shiploads more mature than his, but we'll have to see how things work later. Moving forward with the side characters, they're all exceptionally flat and predictable at the moment, but I guess that's to be expected given the cliched-out leads. This will sound awful, but I was disappointed when her dad didn't die in episode 2. For one, that old-man actor consistently annoys me (he just grosses me out, and his characters are always on the pathetic and irritating side, e.g. Goong, BBF, and Secret). And second, can we please stop it with the stupid parents who dig themselves into debt? I imagine the debt-collector duo will be a humorous hit with viewers, but I think we already saw this trope (done much better) in Miss Korea and multiple previous dramas. I want to see something truly novel, and so far none of the characters fit that bill. 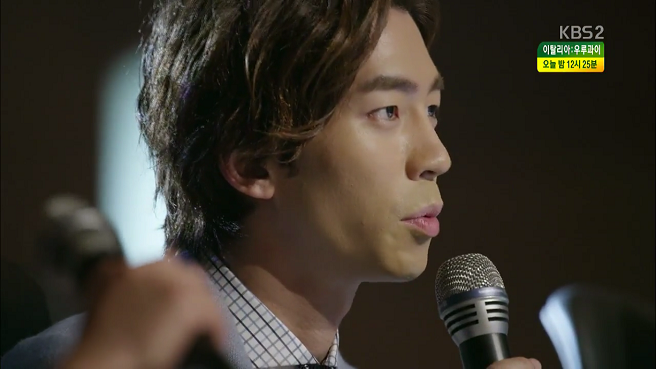 The slight exception is second male lead, who's a lesser-seen type of drama-eccentric, and is played with incredible presence by Shin Sung-rok. I even sort of like Lee Se Young, because her character is predictably self-centered, which is occasionally just refreshing against the backdrop of selfless, hardworking heroines. I'm not a fan of the directing and editing, which is more than a little disjointed. It kind of fits with the general crazy tone of the show, but it also leaves me confused at points. For instance, why the hell did his assistant suddenly sit down and talk about getting plastic surgery? I must have not been paying attention, but honestly I have no clue what the point of that scene was and why it was clumsily manhandled into the middle of the episode. Lastly, the music is just bleh for me. I'll confess - I don't like trot. That shouldn't stop me from appreciating the songs and Eun Ji's ability to deliver solid vocals, but it's not the sort of music that lifts my mood and makes me want to dance. If anything, it leaves me feeling a bit embarrassed for the people involved. But regardless, it's nice to see a drama that shifts away from the pop-focused musical scores of Answer Me and Dream High. One thing I don't understand is her finale performance in episode 2, which I suppose was intended to be the impressive turnaround for her character. But let's be honest, it wasn't actually good. Yes, she sings well, but the accompanying stage performance was just short of pathetic. The repetitive hand motions, the horrid posture - it's not the stuff that inspires anyone to stand up and clap. I know this is probably harsh, since it's not like Eun Ji is really a trot performer in real-life, but I just expected more. Hopefully this aspect will improve as she settles into the character. 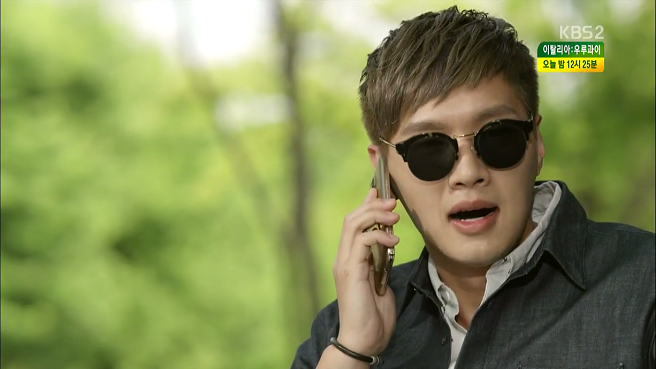 Not a bad start for the show, and I am happy to have Ji Hyun Woo on my screen again. I don't expect the show to more than scratch the surface in terms of actual character or story depth, but harmless fun and flashy stage acts are never a bad thing.